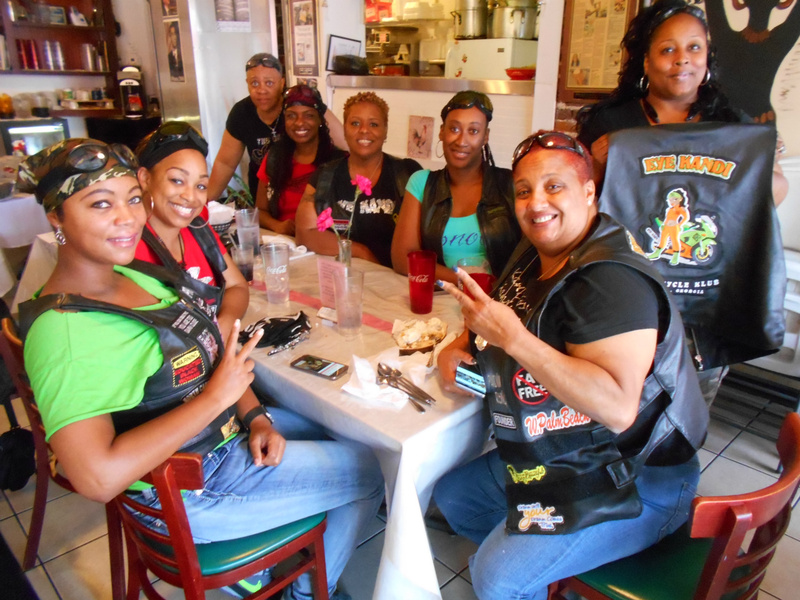 I had the good fortune of stopping in at Aunny’s on Front Street and running into a group of eight beautiful women – all bikers. 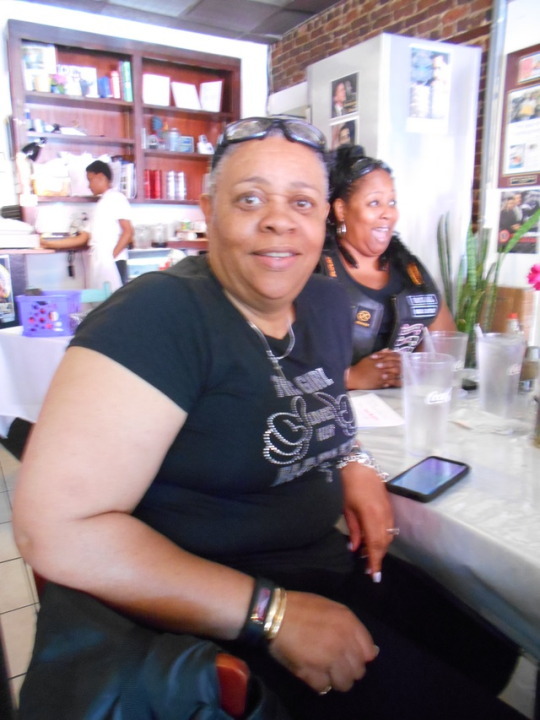 Marieda Evans-Hicks, a Georgetonian, brought her out-of-town friends to dine-in at one of her favorite restaurants. They’re here celebrating (black) biker week. For those that do not know the difference between a biker and a bike club – a biker just enjoys riding, but a club wears a patch on a vest, known as Colors to show they belong to a specific group. This particular club is Eye Kandi. They do have a Facebook page if you want to take a look at the all-female club. The page is Facebook.com/EyeKandi.